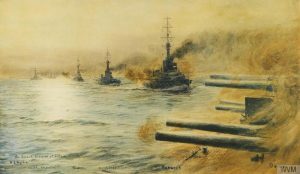 We are delighted to publish our Battle of Jutland Royal Naval Casualty Database and Interactive Map. Thanks to funding from the Arts & Humanities Research Council’s Gateways to the First World War Centre for Public Engagement Professor Brad Beaven and Dr Melanie Bassett were able to work in collaboration with partners from the Portsdown University of the Third Age (U3A), the National Museum of the Royal Navy and a number of student volunteers. 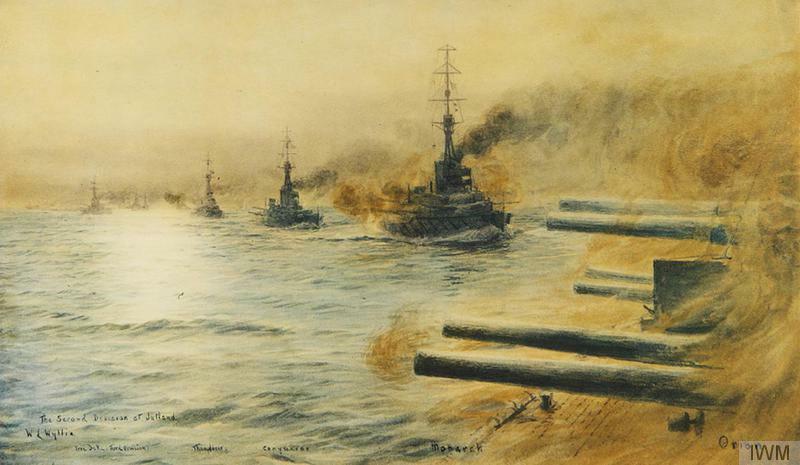 The Battle of Jutland was the largest naval engagement of the First World War. In the aftermath of a battle that lasted thirty six hours, more than 8,000 British and German servicemen had been killed and 25 ships had been sunk. The Royal Navy lost over 6,000 men and five ships, including the Battlecruisers HMS Queen Mary, HMS Indefatigable and HMS Invincible. The database includes 6102 names and is the most comprehensive record of those men who died as a result of the Battle. It details vital personal information such as the service person’s name, ship, rank, service number, date and place of birth. 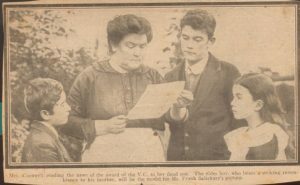 It also includes the name and address of their next of kin as recorded by the Admiralty or the Commonwealth War Graves Rolls, or if not found, their address via probate or 1911 Census records. Our project has enabled us to visualise the human impact of the Battle of Jutland as never before! The names and locations have been linked to an Interactive Map which plots the next of kin or last known address of those serving on RN ships who died as a result of the Battle. Missing information – can you help? 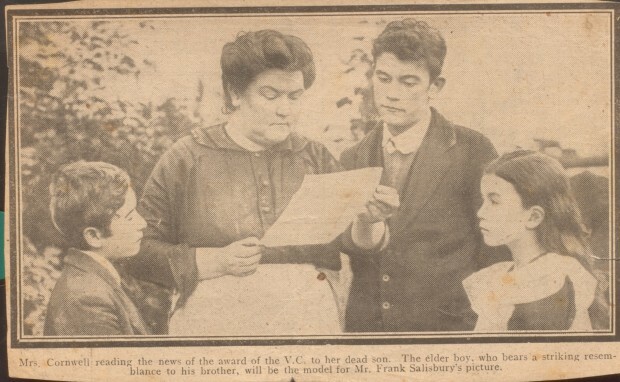 Watch this report from That’s Solent TV to find out how you can add to our knowledge about those who died as a result of the Battle. Jack Cornwell’s family receiving news of his posthumous Victoria Cross award. By kind permission of the NMRN. Professor Beaven and Dr Bassett have given a number of research and public engagement papers on their findings and will soon publish a journal article. A chapter analysing reactions in the national and local press and commemoration of the Battle in the years immediately after the First World War has been published in the Exhibition Catalogue of the National Museum of the Royal Navy’s 36 Hours: Jutland 1916. The Battle that Won the War. They have also created a pop-up exhibition which is available for loan to interested groups. 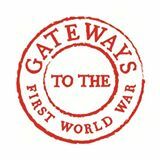 The database was funded by the AHRC Gateways to the First World War Centre for Public Engagement. With kind thanks to our project partners, Portsdown U3A and the student volunteers at the University of Portsmouth. Many thanks in particular to the U3A’s Carole Chapman, Steve Doe, Diana Gregg and Beryl Shepherd, the NMRN’s Casey Keppel-Compton, Nick Hewitt and Matthew Sheldon. Thank you also to the dedication of University of Portsmouth student volunteers Marcus Collins, George Dance, Eilis Phillips, Liam Pietrasik and Jason Sackey.